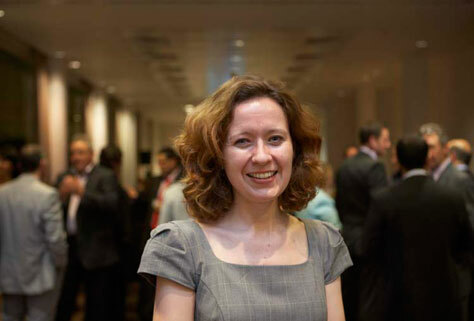 A PROJECT manager working for the NHS has been named Manchester Metropolitan University’s MBA Challenge winner. Hannah Lowry wins a full £15,450 scholarship for the part-time Executive MBA programme, and will begin her studies in October at the Business School. The University’s launched the MBA Challenge in July, and offered a full scholarship to the winner, and a £3,000 scholarship to each of the two runners up. Twenty hopefuls were shortlisted to take part in a series of business challenges designed to test their business and leadership skills. The Challenge culminated in an award ceremony, which took place at Mint Hotel in Manchester on 28 September. Hannah, 36 from Stretford, said: “I wanted to take part in the MBA Challenge as I’d been considering studying for an MBA for quite a while, and the Challenge looked fun and interesting. The four challenges were all very different, and I particularly enjoyed the ‘enterprise’ element, where we had to write a business case for a company. “Taking part in the Challenge was thought provoking for me as it helped me to think about business development and decisions in a different way. Being able to investigate business issues out of the context of the workplace really helped me to consider how I might apply them to real scenarios, and gave me the thinking space to do so. Daniel Sheratte, MBA Programme Manager at MMU’s Business School, said: “Hannah was a worthy winner of the MBA Challenge, as she demonstrated strong team awareness, robust business acumen and an innovative and exciting marketing approach. Next Story Innospace to offer free legal advice to start-ups.